The work programme was unique because it used a proactive approach to work out how to reduce risk on a road. Traditionally, steps are taken to improve safety after a crash has occurred, while the Safe System approach uses road engineering to try and prevent crashes from happening in the first place. 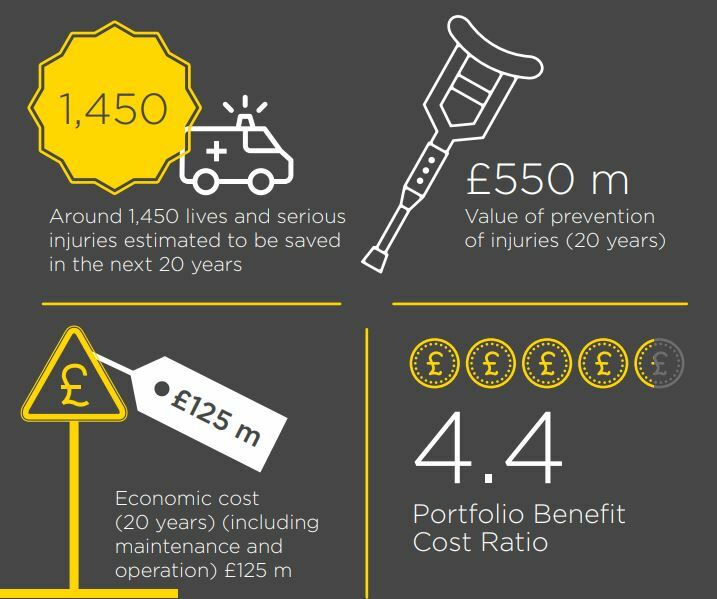 Many of the councils submitting proposals to the DfT for money from the Safer Roads Fund worked with the Road Safety Foundation to use the International Road Assessment Programme (iRAP) tools to take a proactive risk management approach. This involved video surveying the roads, coding road features known to relate to crashes and their severity and using iRAP tools to direct the development of treatments.